Design For Performance. Design For Precision. As Evans and Peck said themselves of updating their work space, “in a profession where attention to detail is everything, [we] sought a partner that could manage a high level finish with precision.” So engaging the brainstrust of SHAPE and WMK Architects to revamp their office space then, was not only necessary but an absolute inevitability. And with SHAPE, WMK and Precision Flooring all aligning incredibly closely, not just in their positions as market leaders, but also in terms of ethics and values, working tirelessly in their respective fields to ensure ecological mindfulness and sustainability is at the core of all they do, their alignment seemed serendipitous. Grappling with challenging deadlines, the need for smooth transitions and change management considerations, the design of Evans and Peck’s new premises reflects the company’s ongoing commitment to excellence. 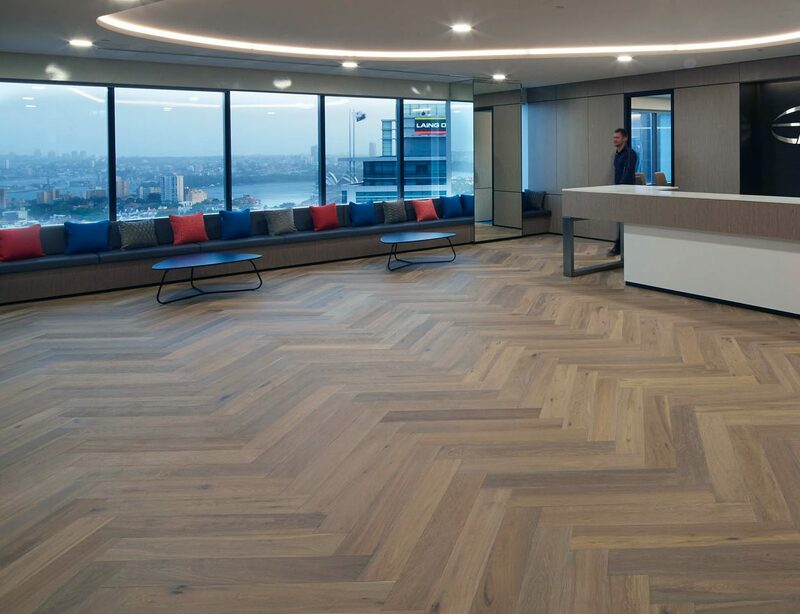 Providing deep domain expertise and advice to clients in big industry, this dedication to quality and exactitude reverberates through both the largest and smallest of details in their new Sydney offices, realised with the assistance of handpicked specialist trades to ensure the supreme quality of the end result. And the end result is nothing short of breathtaking. Surrounded by stunning views of the urban skyline, the offices are flooded with natural light filtering through wall to wall windows, that bounces off the generous use of polished timber throughout. The wellbeing benefits of timber have certainly not been forgotten for this newly activity-based working environments. Renowned for its calming influence, timber brings those in doors in touch with the natural world, and is phenomenal in its ability to quiet the mind and bring a sense of peace. The acoustic qualities of the timber can’t be overlooked either, with the fibre itself acting as a sound dampener (more so than most structural materials). This is incredibly important in diminishing chaos in a busy work environment and optimising the capacity of great minds. The respiratory benefits timber provides can almost be felt from just glancing at photographs of the finished space, as the extensive use of timber throughout the various areas of the office offers a feeling of freedom and expansiveness to the Evans and Peck staff. 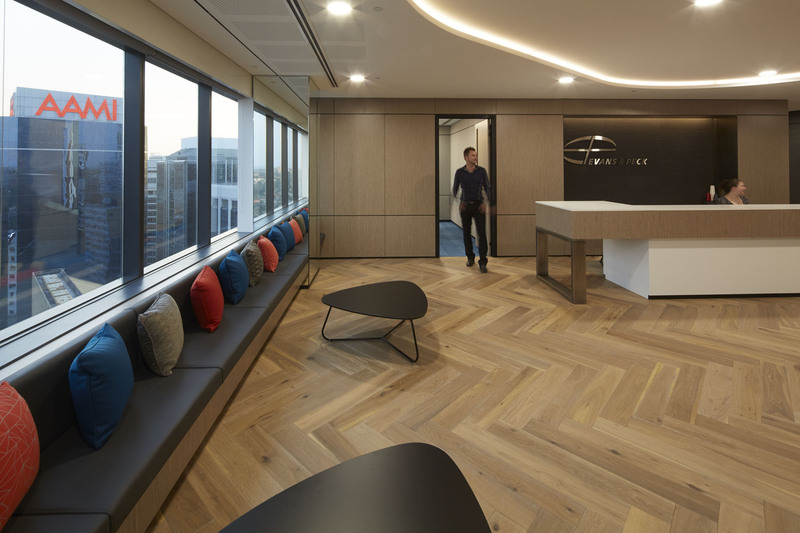 Combining the latest workplace innovations with a warm and textured design approach, Precision Flooring’s engineered parquetry oak was finished in our sedate yet rich, Oslo treatment. The strong graphic nature of the parquetry design interacts with the layering of organic materials apparent wherever the eye alights, offset with the organicism of softened corners, a lack of sharp edges and bespoke fixtures throughout the built environment. The richness of the timber’s depth of colour creates a feeling of timelessness and speaks to Evans and Peck’s reliability and professionalism. Seeking to bring a new degree of sophistication to the traditional corporate landscape, the project reflects the human-centric values of our current era; a collaborative workforce, an open experience and culture, and contemporary ideas of connectivity flourishing to transform not only the way we work, but the way we interact with one another. 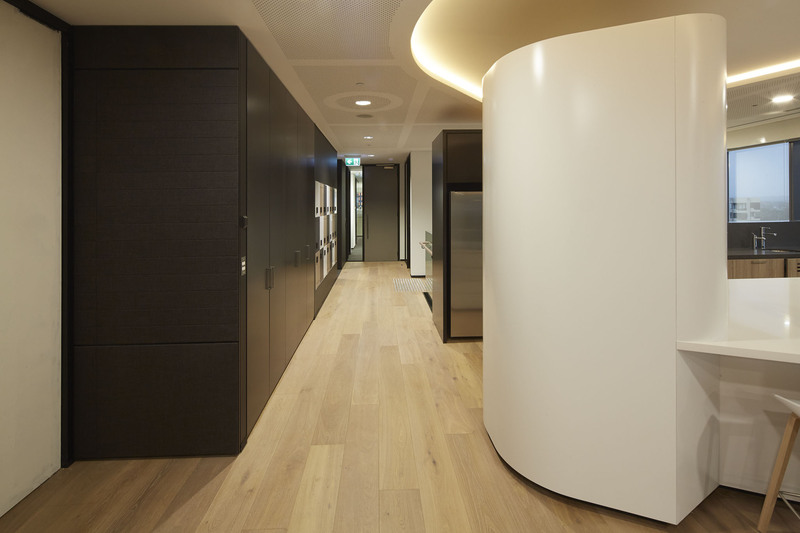 These elements are all reflected in the open plan of the office, the expansiveness and flow created by the extensive oak flooring, modern finishes and natural colour scheme.